The relationship between the United States and Japan has changed under Prime Minister Abe and President Obama not only becoming more robust bilaterally, but acquiring new significance in trilateral contexts. This is evident along the southern reaches of Asia as Australia, India, and various countries of ASEAN now have reason to view Washington and Tokyo as partners in security as well as the Trans-Pacific Partnership (TPP). It is also apparent in more complicated ways in Northeast Asia and in efforts by Japanese and US officials to draw countries in the European Union into the reordering of the Indo-Pacific region. In this collection of five articles, one centers on the US-Japan-China triangle, another on the US-Japan-Russian triangle, two on the US-Japan-ROK triangle, and a final piece on the US-Japan-EU triangle. As a collection, these analyses of triangles add an important perspective on Northeast Asia. The triangle with China is in the forefront in shaping the contours of regional security and the overall multilateral architecture. It serves as the starting point for grasping how US-Japan relations are being transformed in regional context: Tokyo becoming more concerned about abandonment than entrapment; Washington valuing an alliance with a wider reach; and Beijing losing hope in its earlier strategies to divide the two allies. This triangle has done the most to solidify US-Japan joint resolve. In contrast, the triangle with Russia in 2014-2016 has had the greatest impact on straining the US-Japan alliance. It has exposed a sharp divide in geopolitical reasoning on: the linkages between the global and Asian security spheres; the nature of the Sino-Russian relationship; and the leadership clout of Japan in reshaping the balance of power in Northeast Asia. The US-Japan-ROK triangle has passed through three trying years, but it is showing new potential for forging a genuine triangular alliance. We take two views on how it is being transformed, since in the first part of 2016 changes have been most palpable, involving rejuvenated diplomacy, vacillating public opinion, and unprecedented security cooperation. Last, the US-Japan-EU triangle so far appears to be a lesson in futility. A synopsis of a Brussels forum to assess this triangle, especially as Japanese participants appealed to Europeans to take it more seriously, sheds light on contrasting ways of looking at Russia, China, and the links between Europe and Asia. Together, these articles provide a snapshot of new challenges. Sheila Smith updates her recent book on Japanese politics and the rise of China with a wide-ranging review of how the triangle with the United States has evolved over the last year. She finds that the Japan-China relationship today is far less predictable even as Xi and Abe seek to regain stability in their relationship, and this suggests a new role for the United States. Far more is at stake than sovereignty over the Senkaku (Diaoyu) islands. The US-Japan alliance, Smith notes, now faces the question of how to deter aggression and cope with coercion short of the use of force. Tokyo worries that Washington will compromise its interests with Beijing; and policymakers in Washington for the first time worry that the alliance may embolden Tokyo, should there be an incident between Japanese and Chinese forces. Meanwhile, relations between Washington and Beijing have become increasingly tense in the face of Chinese ambition for testing the ability of the United States to protect the open sea lanes, while regional institutions organized around ASEAN seem woefully unprepared for the new, major power jostling that characterizes today’s Asia. This great power triangle looms large in regional change. Smith traces the Sino-Japanese relationship, noting that by the time Xi and Abe came to power, the deterioration of trust seemed complete, and a new approach to restoring dialogue was imperative. As their standoff in the East China Sea leads to ever-increasing coast guard build-ups, Japan and China must now contend with the far greater possibility that their militaries could clash with the prospect of navies becoming involved too. The US-Japan alliance too has adjusted to the increasing risk of military encounters between China and Japan, Smith explains, citing the new Alliance Coordination Mechanism that would allow Tokyo and Washington to have real-time and constant means of managing a future crisis. Handling of historical anniversaries in 2015 threatened to deepen divisions. The contrast in the messaging between Abe and Xi made clear that they were no longer seeking quiet reconciliation with each other, but instead had in mind both a domestic and a global audience for their narrative on the war. Abe claimed it was his generation’s responsibility to ensure that future generations would not “be predestined to apologize.” Xi spoke to Chinese aspirations to break free from the humiliations of colonialism and war in the twentieth century, pointing out that China’s victory against Japanese aggression “opened up bright prospects for the great renewal of the Chinese nation.” The historical gap did not lead to worsening of relations, but narrowing the gap is now much harder. Increasingly, this triangle has become focused on maritime Asia, especially the South China Sea with China intent on excluding the US military presence there and Japan no less determined to sustain it and to add its own support. Smith concludes with advice to the next US president on what should be done to reinforce the US presence, leaving no doubt that Japan would welcome that approach, while China would continue to resist it. Abe’s pursuit of Putin has been straining relations with Obama. In May 2016, Abe will go to Sochi to meet with Putin in anticipation of a breakthrough summit in Japan later in the year. The odds continue to be against a breakthrough, not due to Japan’s intransigence on “four islands in a batch,” as was earlier the case, nor to US pressure to keep the territorial issue alive as a wedge between Tokyo and Moscow, as some still assume, but due to geopolitical, geo-economic, and also national identity factors in Russia less favorable to a deal since Abe and Putin in April 2013 set their sights on one. Predictions of prospects for this relationship over the past three years have touched on many themes: leadership, the territorial dispute, military relations, Ukraine, geopolitics, history, civilization, geo-economics, and the Russian Far East. Rozman takes up these issues chronologically, while incorporating the United States into a triangular framework for each of the periods. After Abe met Putin in the spring of 2013, leadership determination and strength boosted early expectations. Even as Putin returned to the top post in Russia more harshly critical of the West, it was not expected that any deal he reached with Abe would occur at the expense of US aims. Agreement on 2+2 talks on security seemed to jump start relations. Hopes also rested on the existence of a framework for compromise on the territorial dispute. After decades of diplomacy and mutual attentiveness over evolving thinking about the “Northern Territories” or “Southern Kuriles,” a framework was, arguably, in place—although neither side acknowledges it or has been willing to make the first, open move—for a compromise. Signs of US concern finally appeared, at a time when relations with Putin were newly strained, Abe’s visit to the Yasukuni Shrine in December damaged US-Japan ties, and Obama and allied leaders refused to join Abe at the Sochi Olympics opening ceremonies. Yet, Japanese interpreted this boycott as a split over human rights. As tensions mounted over Ukraine, Japan was caught between the United States and Russia, striving to avoid an impact on its quest for the Northern Territories. Due to his personal ties to Putin, Abe avoided direct criticism of Russia. The US factor was now greatly heightened; Japanese officials kept giving the impression that they would be close to a deal if it were not for US pressure. In Washington, doubts intensified that Russia’s motives had shifted to splitting the G7 as its willingness to go beyond two islands or even to compromise at all was now suspect. Yet, in the third quarter of 2014 a geopolitical breakdown occurred. Japan-US relations were troubled as Russia’s threat to Ukraine intensified, leading to US insistence on a firm, united response. Japanese view Russia through a narrow bilateral prism, backed by logic that the real danger is China and the priority must be to prevent a Sino-Russian alliance—logic doubted on the far right and left, but endorsed by Abe. The gap between US and Japanese geopolitical reasoning was at a peak not seen in post-Cold War decades. Some were equating China’s use of force in the South China Sea with Russia’s in Ukraine, wondering why Japan is leading in one case but is asking for understanding for its apparent dissent in the other, even as it proclaims its support for the principle against the forceful change of borders. Insisting that Japan’s geopolitical logic was superior to US logic, Japanese countered US views. Obama-Abe differences over Russia were overshadowed by their successful summit in April 2015, but their division deepened, even as Putin was focusing more on Xi Jinping. On May 20-21, a high-level exchange signaled the depths to which relations had fallen. Lavrov accused Japan of being the only country that does not accept the results of WWII due to its stance on the Northern Territories. Suga called these remarks baseless. US optimism that the spat over WWII would clarify that history unites the two allies and divides them from Moscow was short-lived; however. Plans for Putin to visit were going forward despite it all. Abe’s pursuit of Putin cast a shadow on the G7 summit on June 4-5, where he sought understanding of his desire to get back the islands. It continued in the second half of 2015 and seemed to intensify in early 2016. Abe is determined to make Japan an independent player in international society. In light of Russia’s strained economy, the prospect of using economic ties as a wedge, including a role in the development of the Russian Far East, now was more promising. Along with Japanese artificial optimism and Russian unchallenged pessimism, we should note US entrenched skepticism that a breakthrough is possible. In Washington, few see Putin relinquishing territory, changing his China policy as a result of talks with Japan, or presenting substantial economic and national identity benefits to Japan. 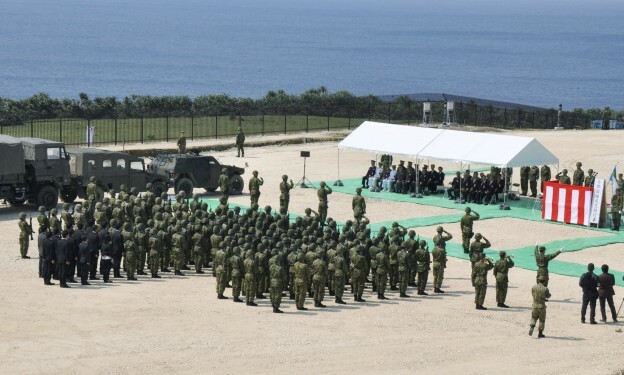 After the Crimea annexation, doubts intensified about territorial concessions to Japan. Abe’s motives were hard to understand, beyond wishful thinking about territory. US support for an agreement should not be in question, but the enforcement of sanctions at present. Park Cheol Hee offers a South Korean perspective on reviving this triangle, beginning with the March 31 three-way summit in Washington, DC, where they agreed to be united in responding to provocative actions by North Korea and to discuss upgrading security cooperation, as well as to work toward steady implementation of the Security Council resolution to impose sanctions on North Korea. This meeting symbolizes a new stage in trilateral cooperation, which had long been limited because of bilateral conflict between South Korea and Japan centered on the “comfort women” issue. It drastically contrasted with the previous trilateral meeting in March 2014. Two developments made it possible: the foundation Abe and Park set with their accord of December 28, and the provocative actions of North Korea in January and February that led to security trumping history. The rapid progress in trilateral security cooperation may be a surprisingly pleasant development for the United States and Japan, considering the conveniently circulated image that South Korea had been tilting toward China since Park assumed power in 2013. The divergence between the US and South Korean governments about Abe’s security-related initiatives put an enormous diplomatic burden on South Korean officials. As a US ally, South Korea could not stand against its support for Japan’s initiatives. At the same time, South Korean leaders could not ignore the public’s critical stance against Japan. Abe’s successful Washington visit at the end of April 2015 became a watershed event that turned around the mood in Korean society, sending an alarming signal that South Korea might be diplomatically isolated, and creating momentum for rethinking the Park administration’s diplomatic stance in Northeast Asia. In a situation where China was taking a milder stance toward Japan, going over the head of South Korea, the Park administration needed to ameliorate its ties with Japan. A turning point in the bilateral relationship between South Korea and Japan occurred when Park attended a reception held by the Japanese embassy in Seoul, while Abe attended a reception organized by the Korean embassy in Tokyo on June 22, 2015—the fiftieth anniversary of normalization. The December 28 accord opened a new chapter in Korea-Japan relations. Though it drew half-hearted evaluations from the public in both countries, the “comfort women” issue did not stand in the way any more. Through this accord, the United States could find a way to encourage new linkages between South Korea and Japan. Drawing a full circle of security cooperation in East Asia by removing elements of conflict between the allies has been a long-cherished US dream, increasingly so in the context of a rising China and a provocative North Korea. South Korea embraced the idea without hesitation or reluctance, giving new impetus to its relationship with Japan. The high-level political deal on the “comfort women” issue, which had strangled the ties between Seoul and Tokyo, opened a new window of opportunity to improve bilateral relations. The deal also provided momentum to link the United States and its two allies in East Asia in an unprecedented way. The North Korean nuclear test and long-range missile launch at the beginning of 2016 established a firm platform on which the United States, Japan, and South Korea could go further in becoming united and upgrading security cooperation. Implementing the “comfort women” deal is likely to be a daunting challenge for both South Korea and Japan, Park Cheol Hee concludes, while also finding security trilateralism a challenge. After the North Korean missile launch, China began shifting its negative stance toward consenting to a new Security Council resolution. Four factors contributed to changing the Chinese attitude toward North Korea. First, South Korean public opinion turned negative about China remaining passive on the North Korean issue. Second, Park expressed this diplomatic backlash in January 2016, implying that South Korea would enter into substantial negotiations with the United States about introducing the THAAD (Terminal High Altitude Area Defense) system on Korean soil. Third, within South Korea, some news media and politicians began arguing that South Korea should seriously consider going nuclear. This sent a warning signal to neighboring countries, including China. Finally, to the surprise of many, Park made a bold decision to close the Kaesung industrial complex. China’s shift is a tribute to how these factors have worked together effectively, but the article casts doubt on its durability. John Nilsson-Wright takes an outsider’s view of this triangle, showing more skepticism that the formal resolution of the long-running “comfort women” controversy opens a new era for Tokyo and Seoul to address their urgent common regional security and economic challenges. He looks back to how the two managed to overcome wide differences since the 1950s, crediting the creative diplomacy of senior elites on both sides, as well as the willingness of leaderships to take risks in the face of hostile public reaction at home. In this way, trust was carefully nurtured by both sides, which serves as a lesson today. Yet, this lesson was lost for a time under Park and Abe, Nilsson-Wright argues. From the perspective of Park, the problem appears to have been a fundamental lack of trust in the reliability of past and present apologies by the Japanese political establishment. Abe undercut the impact of past apologies and looked as if he was seeking to reopen an issue that should have been settled—problematic when many Koreans were already skeptical of the terms of the original 1995 settlement. To ordinary Koreans intent on securing an emotionally genuine admission of contrition from Japan, Tokyo’s legalistic unwillingness to admit formal responsibility in favor of a tightly circumscribed sense of obligation seemed like bureaucratic hair-splitting and smacked of insincerity. Behind this divide, the author finds culturally distinct approaches—the procedural narrowness of the Japanese approach versus the desire by the Koreans for an expansive admission of guilt. This helps to explain the difficulty in designing a settlement to the “comfort women” dispute. Lee Mung-bak in a moment of pique decided to do what no other sitting Korean president had done and set foot on the disputed island. The decision was an enormous affront to Japan, says the author, putting relations into the deep freeze and undercutting two path-breaking bilateral security agreements. Yet, Nilsson-Wright doubts that Lee or later Park or Abe has been ideologically or politically motivated to such a degree that this has undermined bilateral relations, which is open to question. For Park, he finds that the hallmark of her style has been her stress on the importance of trust and honesty in diplomatic relations—at the heart of her policy towards North Korea, and the same emphasis has been present in her policy towards Japan. He also argues that Abe has shown flexibility on issues of historical interpretation, suggesting that any initial instinct he may have had to embrace ideological and revisionist arguments has been tempered by a pragmatic desire to mend fences with Korea and Japan’s neighbors more widely. He also credits seasoned diplomats and national security specialists with laying the groundwork for reconciliation and for the concrete terms underpinning bilateral agreements. The future of Japan-South Korea relations will not be plain-sailing, Nilsson-Wright argues. Public opinion polls continue to show worryingly high levels of distrust on both sides. The main opposition party, the Minjoo Party, has already criticized the “comfort women” deal and hinted that it might overturn it at some point in the future—a suggestion that flies in the face of Tokyo’s assumption that the deal is final and irreversible, and which, if acted upon, would constitute a dramatic rupturing of trust between the two governments. Long-term success will require not only government-to-government contact, but also efforts to expand dialogue between politicians, civil society groups, media representatives, and students in both secondary and tertiary education, he argues. In the 1990s and 2000s, there was not much urgency about renewing the sense of alliance spanning the globe. The situation in the 2010s is, arguably, fundamentally different due to at least four factors. One, China’s rise and assertiveness has spilled beyond regional boundaries, demanding a global approach. Two, Sino-Russian ties are taking shape on a Eurasian scale with increasing linkages between responses to each of them. Three, Japanese and Europeans alike are concerned about the danger of US isolationism or partial abandonment of their regional security needs, raising the importance of working together. Finally, global integration has reached a scale so vast—security threats, economic integration needs, challenges to universal values, etc.—that the two major regions of US alliances should not be treated as unendingly separate. In any case, Japanese officials are now looking to states in Europe and the European Union as a single entity to take trilateral regional cooperation more seriously. So far, they are looking in vain. The “Japan Trilateral Forum, Brussels,” was aimed at the development of the Japan-Europe relationship through reinforcing a common commitment to democratic values, economic stability, and a rules-based global order. Since these objectives are shared with the United States and in US bilateral relations with both Japan and the European Union, the case for triangularity was repeatedly recognized. There appears to be little of geostrategic or geo-economic significance that Japanese and Europeans can effectively resolve without strong US involvement. With China clearly in mind, Japanese presenters sought a greater European role across much of Asia as back up for the US presence and, perhaps in dealing with Russia, as a way to refocus against China and persuade Washington that Moscow should not be so serious a concern. One theme of the forum was leadership. While other leaders of US allies generally face populist backlashes, Abe is entrenched in his position after more than three years with the likelihood of two and a half more years (some even speculate that he will find a way to stay through the 2020 Tokyo Olympics). This gives him a freer hand to pursue a long-term agenda. Moreover, some see his approach as less populist than the changes under way elsewhere, and more strategic, but others question whether his revisionism is also populist, and, if so, what is the impact on foreign policy. To achieve trilateralism, suggestions were offered to both Japan and European states. Japan needs to avoid separating Europe and Asia (which some thought it is doing) and EU states need to cast aside their “post-modern syndrome.” In the background were signs that Japan is seeking to rally EU states to pressure China more—with North Korea being one reason—, while Japan’s position on Russia—seen as suspect for its ties to Iran—leaves the US side in doubt. One European response was to fault “all or nothing” approaches as if compromise solutions with China and Russia are showing more promise. Exchanges of views on new silk roads raised the possibility that Japan, the EU states, and the United States could cooperate to shape the new geo-economic architecture of Eurasia, coming from different directions and altering Sino-Russian designs. The divergent response over the Asian Infrastructure Investment Bank was faulted by some for interfering with such coordination. The multiplicity of blueprints for silk roads and for reordering Asia not only did not elicit clarity on trilateral cooperation; it left uncertain what any of the parties really want. The crux of the division between Japan and the European Union as well as the dissatisfaction in Washington with the policies of both of them is treatment of Russia and China. Even as some Japanese reported a low threat perception of Russia, some Europeans spoke of a low threat perception of China. The focus for the former was to elicit greater cooperation from the European states in Southeast Asia, the Indian Ocean, and even Central Asia. In each case, they see China as expanding its presence with suspect motives. They seemed intent on persuading Europeans that their focus should shift to China, and even, in an extreme view, that they should join Japan in a united front to persuade Washington of the desirability of soon ending the sanctions on Russia. Although specific issues occupied most of the discussion, one could discern in the background challenges to larger worldviews. Settling territorial disputes—whether for Russia or China—is now entangled in assertions about WWII and its lasting legacy. The role of US leadership in an increasingly multipolar—some would say bipolar—world is now being reexamined by some on both sides of Eurasia. The search for Asianism and even Eurasianism, as Chinese and Russians are refining their aspirations, cannot but elicit a response. Conversations that bring Japanese, Europeans, and Americans together may not yet find common ground, but, it seems likely, they are only at the starting point. US-Japan relations have become a solid foundation for dealing with the southern tier of Asia, including rising danger on the South China Sea. They have moved a step closer to strategic coordination in the northern tier of Asia, squarely facing China and challenges from North Korea through increased coordination in a triangular framework with South Korea. Yet, when one turns to lingering limitations in US-Japan-ROK cooperation, in US-Japan-EU cooperation, and especially in US-Japan coordination over Russia, the picture in Northeast Asia is more complicated. Greater efforts are needed by both experts and officials in Washington and Tokyo to narrow the differences in strategies about these triangles. This collection of articles suggests that awareness is growing of this necessity.